What Does a Social Media Crisis Communications Plan Have to Do with Food Safety? No one can contest the power of social media these days. As of August 2015, there were 2.2. billion users of social networks globally, with Facebook still by far the largest social network platform, at nearly 1.5 billion active users. Even if you aren’t on Twitter or Instagram, you have most likely heard or read about topics on them through other media. The influence of social networks to reach so many people makes them perhaps the most powerful communications tool available. When it comes to a food safety crisis—whether a product recall or a report that a consumer has found a foreign object in prepared food product—you have to assume that messages about it will show up on Facebook, Twitter, Instagram, and even YouTube. From there, it is likely to end up on TV through newscasts as well. If your company maintains silence on social media, the public is likely to assume that you have something to hide, that your company is out of touch with public concerns, or that you just don’t care. For these reasons, it is important that your food safety program be integrated with a social media crisis communications plan. That does not mean that your food safety team has to create the plan or manage the communications. These responsibilities should fall to your designated communications and public relations personnel. But it does mean that when a food safety issue with potentially harmful effects on public health arises, your food safety team should be aware of the plan and coordinate with the public relations team in the overall response. The most obvious benefits of using social networks for crisis communications are speed and the large number of people you can reach. In a situation with potential to impact a large number of people, getting accurate information out to the public quickly is important to lower the risk to public health. Other benefits may not be as obvious. By presenting a consistent and accurate message to a broad audience, your communications can help prevent or counter misinformation. A well-crafted social media post should be clear and concise, and thus is less likely to be misunderstood. That clarity and concision may help to avoid your message being reported as a “sound bite” out of context. And your message is more likely to be transmitted and repeated accurately, as social media users can share it in full. Studies have shown that frequent communications from a firm can increase consumers’ intentions to comply with a recall effort and, when well handled, actually enhance consumer perception of a company. Thus, a social media crisis communications plan can contribute to action on the part of consumers and to maintain your company’s reputation. As with any communications platform, social network communications do have a downside. The social nature of the platforms means that anyone with an account can post a response, and the potential for inaccuracies and outright hostility is very real. How to respond appropriately, and when not to respond at all, takes training and experience. That is the reason that crisis communications need to be handled carefully by the communications experts in your organization. However, even if you are not the one posting the communications, having an understanding of the plan will help you as you carry out your responsibilities as part of the coordinated response to a food safety incident. Clear assignment of roles and responsibilities. Who should post/comment/tweet on behalf of the company? All others should avoid commenting about the situation, even if using their own accounts, to prevent confusion and promote consistency. Identification of the primary social media channel to use during the crisis (and of secondary channels). For example, will you post all relevant information to the corporate website, on Twitter, or on the corporate Facebook page? Picking one channel helps control the messages and makes it possible to funnel users of other social networks to one central source. Internal contact information (including for after-hours). You should know whom to alert and how to contact them regardless of the time, and under what circumstances you should contact them. This is key information to include in your food safety plan. Clear procedures and responsibility for cancelling scheduled social media posts. During a crisis, the company needs to prove that situation is their top priority. Pre-scheduled messages about products can send the wrong message. Guidelines on the frequency and content of messages. For example, measures the company is undertaking and actions consumers can take to avoid the contaminated item(s) should be posted. However, prematurely stating that preliminary measures will completely address the problem should be avoided; otherwise, if you have to increase the scope of corrective measures, your company could lose consumer trust. Message approval procedures. Identify any specific type of message that requires approval by senior management. However, be mindful that a lengthy approval process for all messages will defeat the purpose for communicating through social media. (That’s one reason why templates are an important part of the plan, as they can be vetted and approved ahead of time). Message review procedures. On the other hand, all messages should be reviewed before being posted to verify technical accuracy and to ensure clarity and appropriateness. During a crisis situation, you must adhere to the highest standards of professionalism. Procedures for coordination with regulatory agencies. In the case of a recall, the FDA, CDC and USDA post information on their consumer food safety site at FoodSafety.gov. It is critical that the information provided to these agencies is consistent with messages posted on your social network channel(s). Review your food safety procedures to see if procedures for crisis communications are included. If not, check with your corporate office to find out if there is already a social media crisis plan. Ask to see it, and then update your food safety procedures to include relevant steps to keep the designated contact information updated. If yes, be sure the information in your response plan is current. Make sure everyone is familiar with the plan and of specific roles and responsibilities. Ensure that employees are trained on what they should expect, and what they should and should not do, regarding social regarding social media during a crisis. Employees should understand that if they post information related to the crisis using their own social media accounts, it can lead to confusion and undermine efforts to protect the public health, as well as affect the company’s credibility. During a crisis, provide timely and accurate updates to the communications team as appropriate. Be sure to check the designated channels to remain aware of what the company is communicating publicly. Can Social Listening Lead to Better Crisis Response? Several major companies in the food industry have found that social listening—the monitoring of social networks for mention of their company and its products—can help them identify a potential problem early. If a consumer post describes finding a foreign object in a can of soda, for example, the manufacturer can quickly reach out to that person through social media to request that the individual contact the customer service department to provide details. That way, an investigation can get underway to determine the accuracy and extent of the potential issue, and the customer can have their situation addressed more quickly and appropriately. Monitoring the company Facebook page, Twitter ID and hashtags for product names can be a component of proactive measures for averting a larger problem. Better that you find out that someone posted that they found a rat tail in their soup than for you to be blind-sided by a report about it in traditional media. Public health agencies in New York City and Chicago are also studying the use of social media to identify potential outbreaks of foodborne illnesses in their jurisdictions. They are working to determine if searching restaurant reviews posted on Yelp can help them identify foodborne health issues that have a common source. Results suggest that online restaurant reviews might help to identify unreported outbreaks of foodborne illness and restaurants with deficiencies in food handling. 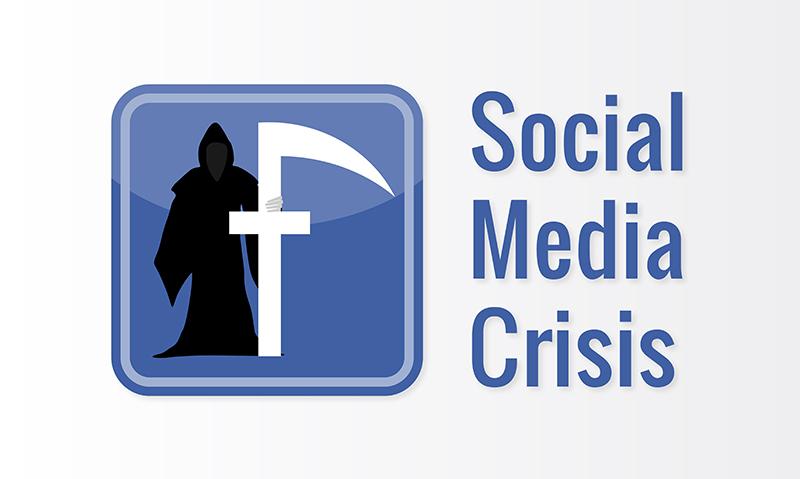 It is better not to have to learn about the power of social media once a crisis has arisen. Having an understanding of social media’s role in communications and of how your company can use it effectively can help improve your crisis communications efforts. If you want the public to trust what you say on social media during a food safety crisis, one of the best strategies is to build a reputation as a trustworthy source of food safety information before a crisis occurs. Consider a social campaign around food safety topics, such as how to prepare food products safely, the difference between a sell-by date, a best by date, and an expiration date, and other topics that tell the consumers that you are attuned to their concerns around food safety. If you are considered a trustworthy source of food safety information, your communications during a food safety crisis are more likely to be believed. As a result, you are more likely to be able to protect both public health and your reputation should a crisis arise. In a future article, we will discuss specific ways to integrate a social media crisis communications plan into your food safety incident response plan.